Mary Stewart is the VP of Operations for Directors’ Choice servicing the funeral industry in Saint John, New Brunswick. The business, best described as an answering service that would be unique to the funeral industry with staff trained to handle calls with compassion and caring, was founded July 25, 1997. Currently Directors’ Choice serves over 1200 clients with a staff of over 90. In her position Mary and her team work diligently to develop the culture, people, technology and flexibility that make Directors’ Choice one of the most unique communication centers in the industry. Unlike generic answering services and call centers, Directors’ Choice combine people selected for their attention to detail and compassion, extensively train them in important aspects of the funeral industry, and provide the very best technology available. Mary, who has a mechanical engineering background, managed an engineered projects firm for over 25 years during which her experience built in every aspect of business. Her focus being on general management, she very early on recognized the fact that human resources accounted for every success or failure in any business. Her CMP Accreditation has added to and affirmed her knowledge gained from experience. Off time for Mary consists of spending as many hours with her grandson as possible. When Mary is not spending time with her grandson she is gardening, walking, reading a good book or busy booking the next trip for her and her husband. Donna Hains is the owner and President of Donna L. Hains & Associates, a consulting firm in Victoria that provides a full range of proactive human resources services for public and private sector clients across British Columbia. In addition to her consulting, Donna is a member of the BC College of Teachers and develops and facilitates courses in the Leadership Development Certificate Program at Camosun College in Victoria. Donna is actively involved in professional associations and has held executive positions at both the provincial and national levels. Donna served as Vice President and President of the Greater Victoria Human Resources Association and for two years was a member on the Board of Directors for the Canadian Council of Human Resource Associations. Donna's background has been a combination of education, customer service and human resources management. She began her career as a teacher in northern BC. Missing her hometown, Donna returned to Victoria and joined the Ministry of Labour Youth Employment Program as an Employment Officer. Following that, she was seconded to the Public Service Commission to assume the role of Project Leader. Donna then left government to accept the position of Corporate Trainer for Rogers Cable Systems and later moved to Vancouver in a new role as Customer Service Manager for Western Canada. For the past five years, Donna has worked extensively in the automotive retail sector. She is a member of the BC Motor Dealer Standards Association, serving on the Education Committee to plan, develop and implement training required for the new Sales Certification License which is now mandatory for all automobile sales personnel in BC. In June of this year, following the introduction of BC's Passenger Transportation Act, Donna received a Cabinet appointment to the Passenger Transportation Board. In her private life, Donna and her husband enjoy their log home on Pender Island where they meet on weekends and spend time with friends, golf and go boating. Linda Kellett joined BDO Dunwoody LLP in 1989 in the role of Office Manager - encompassing human resources and facilities management. Over the past 15 years her responsibilities and skills have continued to increase and expand to meet the needs of the firm. Linda has become an integral part of BDO as Senior Human Resource Manager for the national office of the firm. BDO Dunwoody LLP is the Canadian member firm of one of the world’s leading accounting and advisory firms. In Canada, BDO has 95 offices and over 1200 professional staff, plus approximately 300 partners. The National Office of BDO is located in the hub of the Toronto business district. BDO’s core services include assurance and accounting, taxation, advisory services and corporate recovery. Continuing education has been a focus for Linda’s career growth. In 1995 she completed the requirements for her Certified Administrative Management (C.A.M.) designation, and in 2002 she obtained her Canadian Personnel Professional (CPP) designation which recognizes human resource management skills. This designation strengthened her expertise in supporting the region and her practice groups at a senior level. Linda has also been the management representative on the Workplace Health and Safety Committee and has provided assistance to the firm’s Learning and Development program. She has participated in “Real Time Coaching” and is a member of the Canadian Management Professional Association and HRPAO. Linda is also serving as the new Regional Director for Toronto area chapter of IPM Associations. 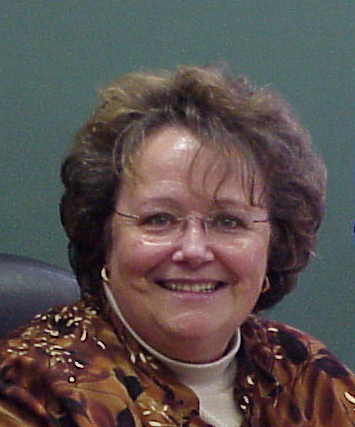 As an Associate member of the CMPA Linda has been an integral resource to IPM and we are honored to have her on board. When not focused on work, Linda’s hobbies include taking wine tours, cooking and entertaining, snowshoeing, tennis and golf. Golf is a passion also enjoyed by her husband and son and makes for a great way to spend time as a family. Her daughter doesn’t share the same passion for the sport so mother and daughter enjoys time together at the local spa.